Two months. Eight weeks. Sixty days. It’s not a whole lot of time no matter how you look at it. But it seems to be the magic time span these days, at least for MLS players it seems. by allowing its most prized possessions to go on loan each winter, is MLS playing with fire? Whether urged on by Klinsmann’s pleas for American players to get more time in competitive playing environments, or spurred on by the past successes of the short-term moves of MLS-bigwigs, the growing fad in American soccer is to get yourself a two-month, winter loan to Europe. There have been no shortage of temporary moves to Europe this MLS off-season. Of course there have been the hyped moves involving the loans of high-profile players like L.A. Galaxy duo Landon Donovan and Robbie Keane — who have moved to Everton and Aston Villa respectively — and Red Bull’s Thierry Henry return to Arsenal. But there have been lesser heralded moves too, such as West Ham’s move for F.C. Dallas defender George John and L.A.’s Omar Gonzalez heading to Nürnberg. A number of other players are trialing or training with European sides to gain some experience, and hopefully attract a foreign bid or two. I’ve written a good deal about Brek Shea’s two months with Arsenal, but there have also been shorter training stints for at least fifteen MLS players. That’s included youngster Juan Agudelo at Stuttgart and Liverpool, Robbie Rogers and Kyle Beckermann at Kaiserslautern, and Tim Ream at Bolton and West Brom, just to name a few. With the temporary moves coming for players all over the MLS spectrum — from established stars to up-and-comers — it’s promising that there appears to be a growing demand for the league’s improving talent pool. It’s a sign Europe’s elite sides are starting to at least consider that we’re a country capable of producing a decent amount of quality players worth having a look over. However, I do have to wonder if all of these moves are the greatest thing for MLS. For most of the young players, the moves will end up being nothing more than glamorous learning opportunities. Their goal will be to make the most of the time training with a different class of players, therefore raising their game or at least picking up the habits of higher level professionals. They’ll get the extra competitive football experience that the Jürgs says our country’s set up is lacking, and hopefully they’re return to their MLS clubs with a sharper knowledge of the game, and everyone will be happy. But while MLS seems content to allow it’s shining gems to go out and grow themselves, it feels like they’re turning a blind eye to the fact that it’s also a great opportunity for the finest young talent in the league to showcase themselves to other, wealthier employers. I mean I can’t imagine a single one of those players not going into those trials/loans/trainings thinking: This is the chance I’ve been waiting for… I better not blow it! 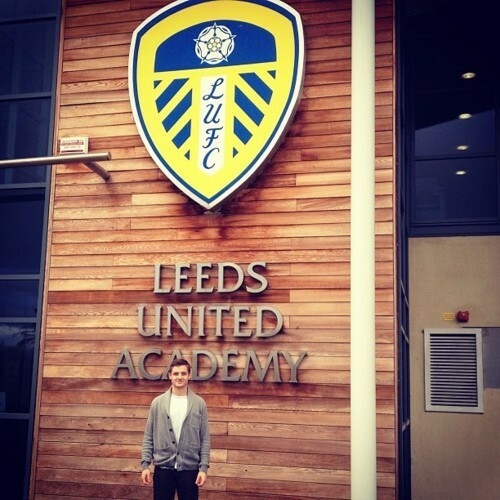 This open door policy has already seen Robbie Rogers turn his brief spell in Germany into a transfer to Leeds United. Tim Ream’s time with Bolton also looks to have paid dividends, as the Wanderers look set to spend their Gary Cahill money on a transfer for the ginger-tinged Red Bulls defender. George John’s loan terms with West Ham have an option to buy if he manages to impress during his two months at Upton Park, so he could be off too. They’ve got a name for this type of issue: talent drain. And with MLS seemingly giving its blessing for foreign sides to take a free look at their best players, it comes off as them accepting their place as a stepping stone league. This flies in the face of the Commish has stated on several occasions, which is to turn Major League Soccer into one of the preeminent tournaments in the world. it seems that robbie roger's short term move to europe this winter has paid off... for now at least. Now maybe MLS does a much better job reinvesting the millions in transfer money they rake in during these sales than I’m giving them credit for, and if that’s the case, I’ll happily eat my words. But in the mean time, I’m going to assume that it’s still a bit of a risky strategy. And all of that only takes into account the youngsters. What about all of the veteran, star players tacking two months onto their seasons; how can their departures possibly hurt the league? First, Klinsmann’s desire to see American players securing loans or training spells in Europe is centered on his belief that the MLS season is too short. That does hold true for many players who teams don’t make the playoffs, or exit them early. Problem is, all of the high-profile loans have involved players whose teams made deep playoff runs. Keane and Donovan were both directly involved in the MLS Cup game winning goal. Hell, Keane hasn’t really had a break from training since the beginning of the last European season when he was still with Spurs. So none of them are in a position where they’re lacking for matches or sharpness, especially when you consider that Donovan and Keane are also still logging serious minutes with their respective national teams. Ultimately, star players being loaned out during the MLS close season does nothing but put extra miles on their valuable legs. And extra miles on (mostly) older legs usually end up leading to one of three outcomes: 1) increased susceptibility to injuries, 2) burnout or 3) both. Don’t believe me? It’s already happened, twice. The gigantic risk MLS exposes itself to is best embodied by David Beckham rupturing his Achilles tendon playing for Milan two winters ago. Beckham’s move was supposed to help him earn a place in the following summer’s England World Cup squad — something MLS considered of great benefit at the time — ended up costing the league dearly when he was forced out of the entire MLS season. Regardless of the size of potential media-exposure gains the league would have received from Beck’s participation in South Africa, it was likely dwarfed by the lack of match-day ticket revenue the league missed out on by not having him play. For those saying “Well that was over two years ago,” this isn’t something that only occurs in the past. As it turns out, MLS has already suffered one winter-loan casualty so far this season. And ironically, it’s not even one of their big guns that’s gone down injured. Instead, it was L.A. Galaxy’s Omar Gonzalez, a younger player who should have become a regular feature in the USMNT’s back line in 2012. But thanks to a collision with “American” teammate Timmy Chandler during his first training session after signing a 2-month loan with Nuremberg, the MLS Defender of the Year will now be out for at least the next seven months… a.k.a. most of the upcoming MLS season. losing beckham for a season apparently hasn't phased MLS at all. but, will lightening strike twice? And though the loss of Gonzalez won’t really hit MLS in the pocketbook the way Beckham’s absence did, it will undoubtedly be a big hurdle to overcome in the Galaxy’s defense of their crown. But if MLS end up losing Donovan, Henry and/or Keane to injury during their loan spells, it will hurt them both on the field and off. Let’s assume the trend of taking MLS players on loan continues to grow next season (I’d be willing to wager that it probably will), the amount of risk they’ll expose themselves to each off-season will go up exponentially. I’m not sure how great of a scenario the league could be getting themselves into unless the think about these types of moves in a bigger picture. Look, these loans and trials are ultimately a good thing if they lead to the development of better American players. I’m all for them leading to more American players playing in more competitive leagues in Europe, and the added benefit we could see from the increased levels of experience. But I want to make sure that such moves aren’t undercutting MLS’s mission and efforts to develop better American players. We need to protect the investments we’ve made so far, and that protection requires a wide variety of issues to consider. Here’s hoping MLS and US Soccer did their homework before allowing this policy to become more common place. Previous Post: cantona: the people’s champion? As an Englishman, I’ve always looked forward to seeing some new players come over from the US – it’s exciting to see players I haven’t seen before. But the reality is that hardly ever happens. I enjoy watching Donovan, he seems like a decent footballer, and has some of creativity that Everton lacks. But other than that? Keane and Henry. Hardly exciting. Henry is the greatest player I’ve ever seen in the Premier League, I’d rather keep that memory than seeing him now. Keane too, couldn’t hack it in the Prem anymore – and although he’s scored a couple of decent goals, looks off the pace since coming back. I want to see some more exciting American prospects! Who should I be looking out for from the MLS? I too have been impressed by Donovan’s spell (and as I’ve said here multiple times, I wish he would move to Europe permanently), and though I tend to agree with you on Keane and Henry’s loans (Why taint your legacies? ), I do think they’ve made more of an impression than I had expected. While I’m not an MLS expert by any means, there are some good players over here that I think could cut it in Europe. As for youngsters that I think are worth keeping an eye on: Brek Shea (FC Dallas), Ben Speas (Columbus Crew… also scored a cracking winner in the NCAA Championship game last year), Andy Najar (DC United… though he could choose to play for Honduras), Juan Agudelo (Red Bull New York), Luis Gil (Real Salt Lake) and Danny Mwanga (Philadelphia Union). I’m also a big fan of the quasi-veteran Kyle Beckerman at Real Salt Lake, though he’s never played very well for the US National Team and wasn’t able to impress during his spell at Kaiserslautern. Aside from that, there are a number of quality Americans playing in some of Europe’s smaller leagues, thanks in large part to their less stringent work permit laws. I have little doubt that some of them could cut it in England, given the right opportunity of course.